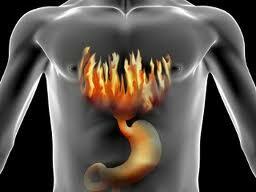 Acid reflux; that annoying and sometimes downright painful occurrence that happens after a meal. In severe cases it can manifest as well ev en after a glass of water. I remember all too well going through this for two years. Worse thing was that I actually accepted that this was my new “norm”; eat, pain, then take an antacid. Yep, even I made some uneducated choices through ignorance. Until I learned about the dangers of antacids they became a regular “staple” on my weekly shopping list. In being completely open and honest with each and every one of you, it was a period when I was going through the pending and ultimately ending of an almost 30 year relationship; living in a period of my life that I liked to call “hell on earth”. I know that sounds a little dramatic but really, to live under the same roof as someone that has such a high level of hate and anger towards you is hellish. You may work with someone like that. You have the sanctuary of your home at the end of the day to either forget or process, only to wake up the next day to do it all over again. It wasn’t until this environment changed did I have a HUGE a-ha; “Hey, it doesn’t have to hurt to eat”!!!!! To this day, it’s like a bit of scar tissue in my gut. I realized from that journey that now stress goes right to my gut. I manage my stress better, avoid certain foods. I also became more aware of Chakra’s, Reiki and the value in crystals. *What are your stress levels like. By now if you’re feeling acid reflux your body is running in the “red ink” area. Imagine your body as a bank account. *Eat more organic raw foods. Cooking or processing food destroys enzymes, considered by many to be more vital than vitamins and minerals. *Increase your probotics. If you’re experiencing acid reflux we’re talking about levels required that are quite higher than what you’re going to find in yoghurt. *Apple Cider vinegar; I have tried this, a capful before meals, just to see. After a week I found it quite hard on my system. *Cayenne. One of my favorite cold weather comfy drinks is hot water, a dash of cayenne and a wedge of fresh organic lemon. It feels good and good for my gut. DrOz gives a great little test to see if you are suffering from acid reflux. Check it out.